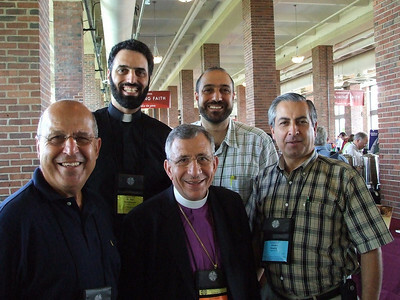 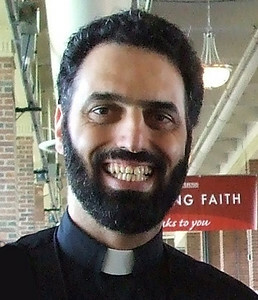 Pastors (L-R) Rafael Malpica Padilla, Executive Director for Global Missions and Rev. 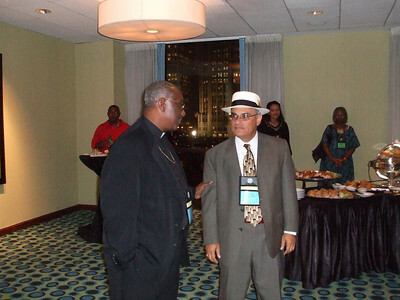 Shermon Hicks, Executive Director for the Multicultural Ministries in discussion during the Multicultural Ministries Reception at the ELCA Churchwide General Assembly on August 9, 2007. Location: Navy Pier, Chicago, Illinois.